Long distance trains are one of the best ways of seeing the world, and whether you join one of the epic trains that cover thousands of miles, or take routes linking many different train services, it can sometimes become uncomfortable if you haven't brought the right equipment with you. You won't have to worry too much about weight, as most of these items are fairly lightweight, but once you are on the journey they can make all the difference. It is also worth checking out the trains that you will be traveling on, particularly the sleeper services as they may offer some facilities on board already. This is definitely a good idea and is particularly useful if you are traveling on a budget and can't afford one of the comfortable sleeping compartments. Ultralight sleeping bags are available that can be crammed into a small space in a bag, while it can be particularly useful on trains in cold areas when the nighttime temperatures can drop quite low. One of the biggest challenges for those who are traveling on a long journey is avoiding boredom, and while the scenery can be spectacular, at times you may want to do more than looking out of the window. Having several of your favorite books, or an e-reader with you can give you some entertainment after nightfall or when you are tired of the scenery. Staying warm on the train is important whether you are traveling in a carriage with an over-effective air-conditioning system or traveling in a cold area, and having a hoodie or fleece jacket in your pack is perfect for staying warm. They can also be rolled up to make a comfortable warm pillow. The headrests on train seats are certainly not the most comfortable, so having an inflatable pillow with you can help you to drop off to sleep much more comfortably than you could otherwise. The u-shaped pillows can also simply be covered in a sweater to make an additional pillow for your bunk too. You won't want to be arriving at your destination looking and feeling rough, so having a small number of items to help you to freshen up if your train doesn't have a shower can be very useful. Wet wipes, deodorant, toothbrush and mouthwash are among our favorites for this key part of your travel kit. Most trains will have an air-conditioning system, and one of the side effects of this is that it means that it draws moisture from the air. This means that you can lose moisture more easily, so having a liter or two of water with you can help you to rehydrate during your journey. This is especially important if you are traveling with a family or a group friends, and knowing what you can do to pass the time can help the journey to be much more interesting if you start to get bored. Having a laptop or tablet is fine if you are traveling solo, but with others card games or similar distractions can bring your group and other travelers in on the fun. 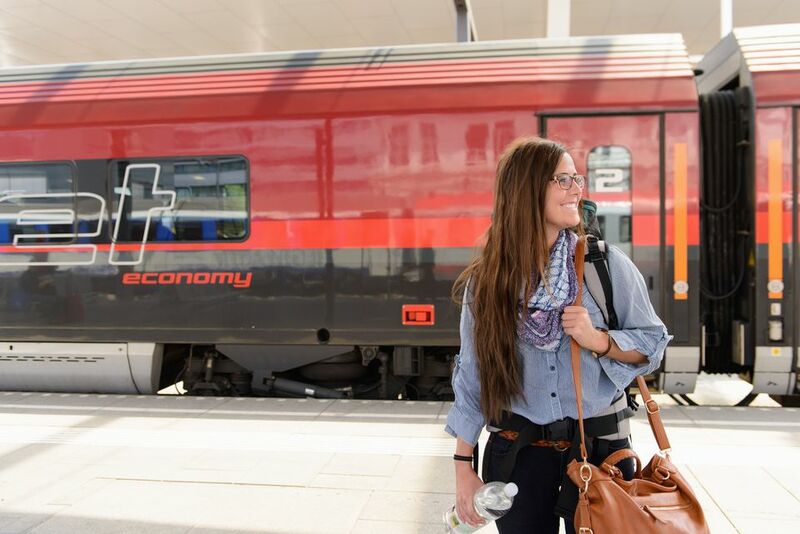 If you are a fussy eater, are traveling on a budget or have specific dietary needs, planning in advance and bringing food can help to ensure that you will have something that you can enjoy, and won't have to spend much money on the food on the train, which will often be unhealthy and expensive. Although most people will think of these as camping gear, they are also very useful on long train journeys if you are bringing your own food and snacks with you. They can also be handy if you are on a Russian train which has an urn with a supply of hot water so you can make noodles in the mug, while a cup of coffee will help to keep you warm too. A long journey is the perfect time to practice your photography, and to experiment with all of those settings and filters built in to your camera that you've never had the chance to try. If you have a laptop with you too, you can even experiment with the different effects on the computer straight away, to get a great idea of which combinations of settings work the best together.